April’s free download is a song that was released 25 years ago this month, and changed my life forever. “Independence Day”, recorded by Martina McBride, got off to a rough start, with more than a few country stations refusing to play it due to its content – it was considered too controversial for country radio. The response from listeners, however, was so strong that despite a handful of holdouts, it reached #12 on the Billboard Charts (not #1 as has been reported) and eventually brought me to the Country Music Association stage to accept the Song of the Year award. Since then, it’s been sung on American Idol three times, used by right wing radio hosts and politicians as a political anthem (it’s not), and been played at countless Fourth of July celebrations. Recently, a young gay man from New York named Zach Schultz wrote a lovely essay about it, which prompted a response from me and got me thinking about the song and its many iterations and interpretations. I had all but stopped playing it live, but something in Zach’s essay made me want to start again. This solo piano & vocal version was recorded on July 29, 2018 at the Perth Concert Hall at the Southern Fried Festival in Perth, Scotland. To read this essay in its entirety, visit Tidal Read. 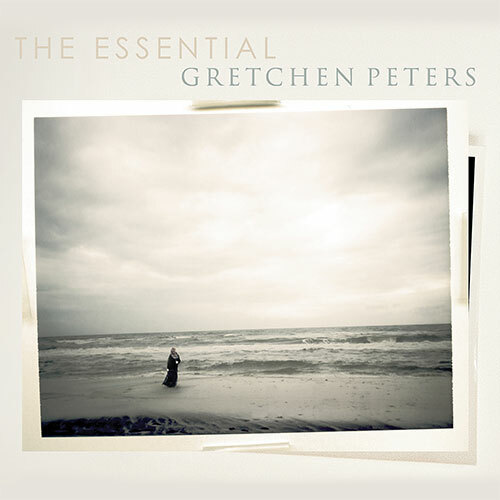 When it comes to poetry, I can think of no other songwriter who gets it the way Gretchen Peters does. A member of the Nashville Songwriters Hall of Fame, Peters wrote “Independence Day,” which became a huge hit for Martina McBride. “Independence Day” catapulted Peters to the Country Music Association’s Song of the Year award in 1995. She sang it in Lewisville, offering up a solo acoustic version, complemented by her own deft work on the piano. Peters shared with the crowd how vice-presidential candidate Sarah Palin co-opted the song during the 2008 campaign, against Peters’ wishes, and how the songwriter sought to “reclaim” it and restore the full luster of its poetry. It is not a flag-waving anthem, as Palin sought to make it by seizing only on the chorus and not the rest of the lyrics, which read like the pages of a chilling work of fiction. My own favorite song of Peters’ is “Idlewild,” which chronicles the 1960s as well as any poem I’ve ever heard. It carries a truism common to all great songs or great poems: You learn something new every time you hear it. Peters led a lyrical parade of tunes from her new album, Dancing with the Beast, whose entries shimmer like finely crafted short stories, albeit with a dark undercurrent that profiles its hard-life heroines in strikingly different ways. She also sang her achingly beautiful “Five Minutes,” which actress Elizabeth McGovern (Downton Abbey) has covered with her band, Sadie and Hotheads. To read this review in its entirety, visit the Dallas Morning News. Florida’s Disney Resort, a palm tree in Fiji and an oil spill in the Gulf of Mexico – ideas for songs and tunes often emerge from the strangest of circumstances as a packed weekend audience at the Millennium Forum in Derry learned during the final concert of the TransAtlantic Sessions tour. A musical concept that began as a television series 25 years ago, the tour is billed as a blend of Irish, Scottish and American folk and an impressive 16 performers, including five singers, took to the stage from places as varied as West Virginia, the Shetland Islands and Nashville, Tennessee. First up was Scotland’s guitarist-singer Paul McKenna performing one of his own compositions, Long Days, about what he described as a most unhappy experience as a musician at Florida’s Disney Resort, the writing of which, he says, helped cheer him up and ease his homesickness. He followed this with his version of the classic Irish ballad, The Banks of the Moy, a soft, lingering tribute to Michael Davitt, a 19th century agrarian campaigner and labor leader who founded the Irish National Land League. A catchy tune about a palm tree in Fiji provided one of the most amusing introductions of the evening, with multi-instrumentalist Tim O’Brien from Wheeling, West Virginia explaining that he wrote Keith In A Palm Tree upon hearing (mistakenly) that Rolling Stones’ guitarist, Keith Richards had cracked his skull on the island after falling out of such a tree. One half expected lovely gyrating dancers in grass skirts to emerge stage left. Molly Tuttle, in her mid-20s and the first woman to win the International Bluegrass Music Association’s Guitar Player of the Year Award, in 2017, then again last year, introduced her set with a forlorn love-lost ballad, Million Miles. Then demonstrated her ample skills on the strings by playing claw-hammer style, a style normally associated with the banjo. Warmest reception of the evening went to Derry-born Cara Dillon who sang a dirge entitled Sailor Boy, a woman’s lament for her lover lost at sea. A special treat for the home audience with loud encouraging cheers was her soft rendition of The Banks Of The Foyle about her native Derry. Displaying empathy for characters in her songs, she introduced Black Ribbons, which she wrote with Matraca Berg and Suzy Bogguss for her double AMA Award-winning album, Blackbirds, as emerging from stories she heard after the BP Oil Spill in the Gulf of Mexico eight years ago, about people whose lives were destroyed, some later committing suicide. Instrumental highlight of the evening for me was a moving tribute by accordionist Phil Cunningham to Liam O’Flynn, former uilleann pipe player with Planxty. Credit goes to the fine backing musicians throughout the two-hour-plus concert, compère and dobro maestro, Ohio-born Jerry Douglas, who has recorded an impressive fourteen solo recordings, as well as a group of musicians from Scotland, including Donald Shaw, a founding member of Capercaillie. Their foot-stomping reels interspersed well with the soothing ballads. Reflecting the homey, communal nature of the performance, aside from floor lamps, couch and coffee table at the rear of the stage, guest singers also contributed their vocal harmonies to great effect in support of each other. Another evening, another party. No concert series I know of is as downright joyous as these long-running celebrations of Celtic and American traditional music. Year in, year out, the fiddler Aly Bain and Dobro guitarist Jerry Douglas preside over performances that evoke the informality of a sing-song in a pub. If Rhiannon Giddens’s guest appearance in 2016 set a benchmark that will be hard to beat, this year’s edition of the roadshow generated as much collective energy as ever. It’s always intriguing to see how Bain and Douglas calibrate the line-up throughout the night, creating endless permutations of the dozen or so musicians on the stage. The humour was irresistible too, whether in the form of the accordionist Phil Cunningham’s muttered asides between numbers or a calypso-like mandolin duet by Tim O’Brien and Russ Barenberg that asked us to imagine that indestructible ne’er-do-well Keith Richards having a mishap on a tropical island. Douglas was also on mischievous form, turning Hey Joe into a scampering bluegrass anthem. 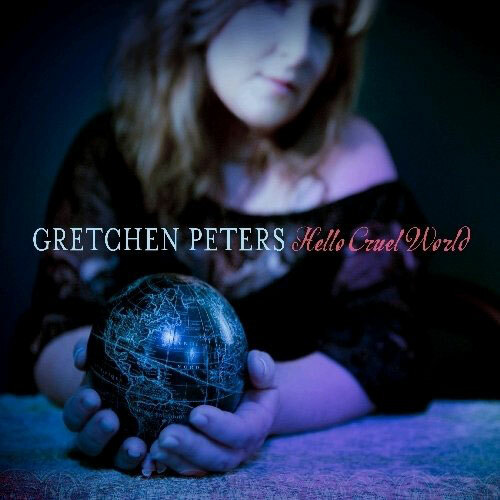 Gretchen Peters offered a more introspective glimpse of material from her new album, Dancing with the Beast. Even some of the old hands in the band seemed to be paying close attention to the clawhammer guitar technique of the much-acclaimed newcomer Molly Tuttle — who, like Peters, will be back here on tour soon. Cara Dillon supplied wistful Irish balladry, while the Scottish singer-guitarist Paul McKenna included a song inspired by memories of playing seven shows a day, five days a week at Disney World in Florida. Inspiration strikes in the most unpromising places. This was a night, though, when the men stoking the engines came to the fore. It seemed strange not to see the token Englishman, Danny Thompson, at his usual post on double bass, yet Daniel Kimbro was an accomplished replacement. John McCusker’s fiddle playing was ecstatic and James Mackintosh’s brush-based drumming offered a masterclass in soft power. As ever, the guest artists stayed on stage on sofas when they weren’t performing. It’s an inspired touch. By the end, I didn’t want to leave either. As part of the Celtic Connections festival in Glasgow, Scotland, we performed a live set for BBC Two Scotland at the beautiful Cottier’s Theatre, originally Dowanhill Parish Church. It was a stunning backdrop for music, particularly appropriate for “Say Grace”. You can watch our performance of “Say Grace” here, and watch “Arguing With Ghosts” here. The whole program, which also includes Loudon Wainwright III and Scottish band Imar, can be seen here. To read this review in its entirety, visit SiLy. …that moment when adolescent girls realize they are not the central characters in their own lives anymore, but prizes to be won by the alpha boy. The unspoken but understood idea we must compete with each other sexually is devastating to women. It taints some of the strongest and most important relationships in our lives; at worst, it destroys them, or prevents them from ever happening. It divides us; and divided, we never know the power we would have had together. In addition to “Concealer”, the lyric video for “The Boy From Rye” has been released today. Folk Alley’s Best of 2018: Elena See’s Favorite Folk and Americana Albums of the Year – Peters says she was feeling quite low when she was working on this album. It was right after the 2016 presidential election and she wasn’t quite sure what to do next. She ended up doing what she does very well – she started telling stories, working through what she – and others – were feeling. It’s the kind of record that will somehow always speak to you, no matter what you’re going through. 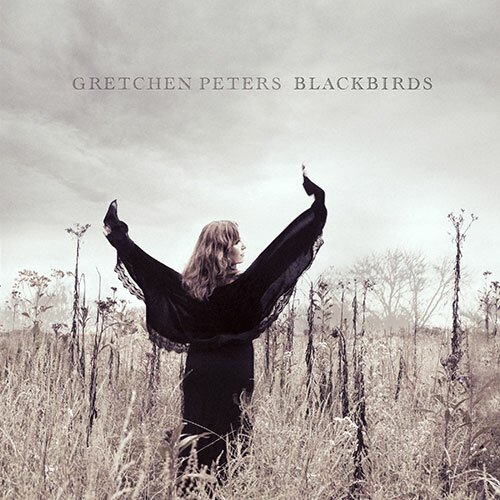 B-Sides and Badlands 30 Best Albums of 2018 – Amidst a flurry of grim solitude, which serves as a shattering reflection of real life, Gretchen Peter’s new album is gilded with softness, almost hopeful in its savory nuances. “Wichita,” named one of our Best Songs of 2018, is entrenched in southern gothic folklore, a story song about a young girl’s murderous revenge, and signals the comprehensive tone of the record. “Disappearing Act” sketches a woman who’s lost too much to care about appearances, a grisly but gorgeous moment; “Lowlands” is a reaction to the ghastly 2016 presidential reaction, a harsh reality we can’t escape; and “Truckstop Angel” sees her choking on regret. Seven albums deep now, Peters continues sacrificing bits of herself to write such stunning and profound portraits of mankind in exhaustive, radical detail. Thanks to Whisky Quarterly and editor Dominic Roskrow for the 2 page feature in the new issue (available by subscription)!